A wall calender with a high resolution photograph per month, each of size of 9"x12" and date-pad below it is of size 9"x12". This calender can also be used as a scheduler, printed on 170GSM high quality paper. 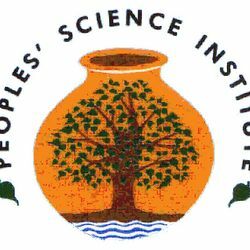 People&apos;s Science Institute (PSI) is a non-profit organization which launches river calender each year as a part of efforts to conserve rivers and create greater awareness on rivers. Till now, our focus was on himalayan rivers. This year, we have selected the River Ken in keeping with our desire to share scenes of rare beauty that most of us are otherwise unlikely to see. River Ken is one of the two major rivers of India’s Bundelkhand region, tributary of Yamuna and one of the pristine rivers in India. It forms a long gorge cutting through the Panna hills at Pandvan, runs through the Panna National Park, followed by the bewitching Ranneh Fall’s rocky formations and the Ken Ghariyal Sanctuary. We have tried to capture the rare beauty of river and people, history, culture, heritage etc. around river. The picture for each month is described to identify its location and significance. The introductory essay gives some of the geographical, historical and cultural details of the River Ken. Clearly your contributions and moral support have helped us immensely to assist people’s struggles for sustainable and eco-friendly development. We sincerely hope that you will continue to support our activities for conserving India’s rivers. Your generosity is vital. We need your continuing support. I request that you buy copies of the calendar for yourself and your friends or donate generously to PSI’s efforts to save our pristine rivers. All donations to PSI are tax exempt under section 80G.